Graphic Romo fabrics give energy to the guest room’s reading nook. Every guest room holds a writing desk, furthering the inn’s literary theme. On a trip to Buenos Aires, Rylee and her husband discovered the living room’s mirror and black benches. The sconces are antique as are the Chinese garden seats, while the delicate chandelier is from Visual Comfort. A fireplace surround from R.T. Facts in Kent makes a stunning focal point for the living room. A painting by Kerri Rosenthal hangs on the high-gloss gray walls of the foyer. 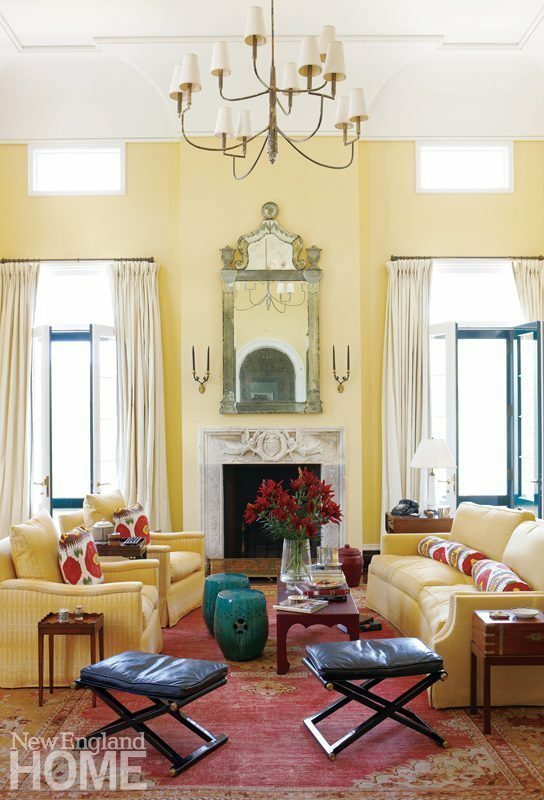 To keep the leather sectional from dominating the room, Hiltz papered the family room walls in Cowtan & Tout metallic paper, added a modern chair in an eye-popping yellow, and was generous with the toss pillows. Custom sconces flank a walnut bed outfitted in chic Les Oiseaux fabric, by Marvic. 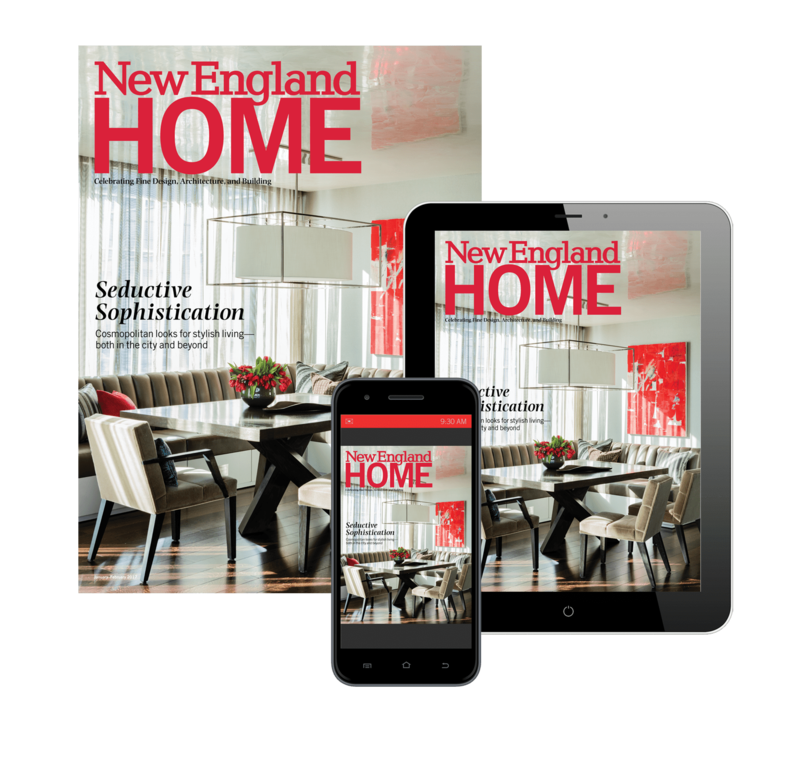 The owner, who oversaw the interior design process, introduced color throughout. "I wanted it to feel like it’s a warm house," she says. 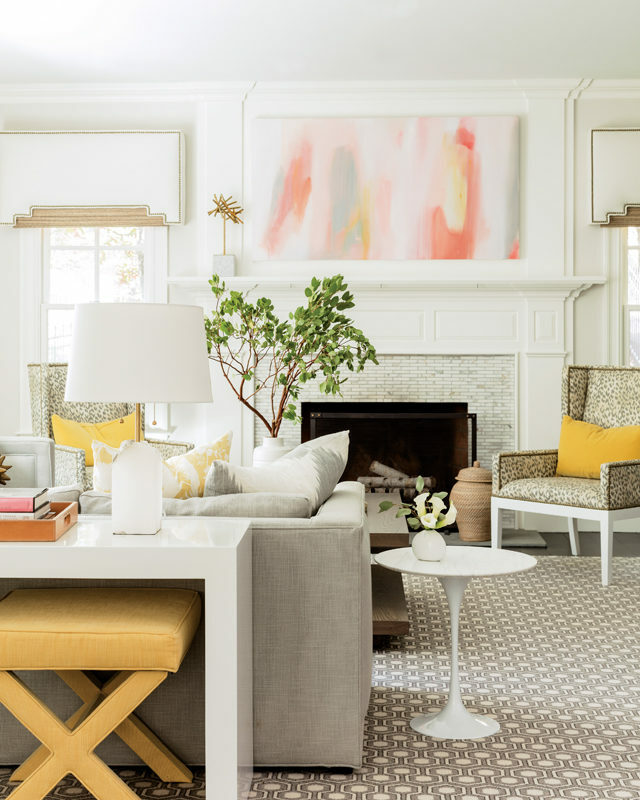 The living room glows with her choice of a rich palette of golds and yellows highlighted by the geometric-floral wallpaper by Osborne & Little.